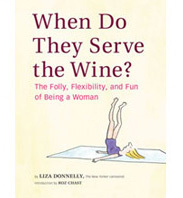 E-Books and Bookshelves | When Do They Serve The Wine? 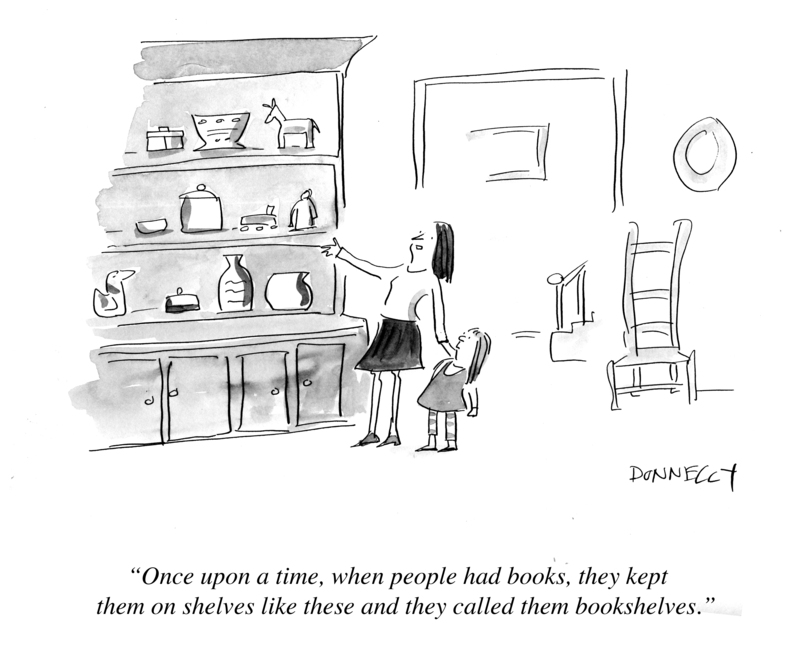 We actually have a lot of books in a lot of bookshelves; books that span generations in my family. I love seeing them there. Having written some hardcover books, now, however, I am writing an ebook. Since I enjoy social networking (and am told I have some sort of “presence” there), my agent suggested I do an ebook. Why not? It’s called Women on Men, and it’s all humor from women’s perspective, mostly about the other half, and will be out in the next few weeks. I know some of you already know about it, as I have been promising the book’s arrival for a while. But e-publishing is so different than the regular publishing world (from my experience): things don’t necessarily go according to schedule. But I do know it’s soon! For those of us who still love seeing books in real bookshelves and not just those virtual ones on your ereader, and for those of us who love holding books: my ebook will be print-on-demand, too. This entry was posted in Uncategorized and tagged Book, bookshelves, cartoons, E-book, Publishing, Women on Men. Bookmark the permalink. Besides, if I’m ever in line at one of your book-signings, how can you sign my ebook?